JAMESVILLE - Jacqueline Parshall passed away Thursday afternoon, November 23, 2017, at St. Joseph's Hospital Health Center in Syracuse after a brief illness. She was born in Cooperstown, a daughter of Chester O. and Rosalina M. (Pugliese) Bridger. Raised in the family home on Maple Street in Cooperstown, Jackie graduated from Cooperstown High School with the Class of 1964. She then attended Brockport State College and graduated in 1968 with a bachelor's degree in education. 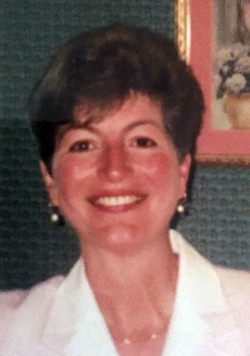 Jackie was an avid sports fan and closely followed the New York Yankees and Syracuse University's teams. She was an enthusiastic amateur golfer and a member for more than 20 years at the Pompey Club, where she currently served as treasurer of the women's golf league. She also enjoyed bowling, playing cards and taking trips to the Central New York casinos with her family members and close friends. She was a long-time supporter and volunteer for the Special Olympics in Upstate New York. Surviving are her daughter, Leigh-Ann Parshall of Jamesville, and her siblings, Phyllis Newell of Hartwick and Chester T. "Tim" Bridger and wife, Lora of Tonawanda and their families. She was predeceased by her husband of 44 years, Harry L. Parshall III, who died February 23, 2013; her father, Chet Bridger who died August 13, 1994; her mother, Rosie Bridger who died January 8, 2011; and a brother-in-law, Gary Michael "Mike" Newell, who died December 23, 2016. Per Jackie's wishes, there will be no services. Burial will be later in Lakewood Cemetery, Cooperstown. In lieu of flowers, those who wish may donate to Pathfinder Village Foundation, 3 Chenango Road, Edmeston, NY 13335-2314. 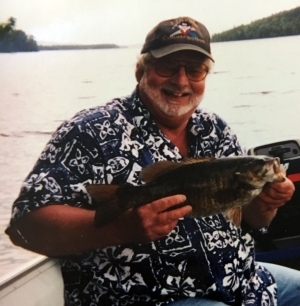 COOPERSTOWN - Frederick John Obermeyer, Sr., 73, of Cooperstown, died November 6, 2017, surrounded by his family at Bassett Medical Center in Cooperstown. After graduating from high school, Fred enlisted in the United States Navy on August 29, 1963. He proudly served his country during the Vietnam War, with his last assignment being aboard the USS Kitty Hawk (CVA-63). He received his Honorable Discharge August 25, 1965, and completed his reserve obligation November 27, 1967. On October 28, 1967, Fred married Camilla S. Gaynor in a ceremony at Holy Cross Lutheran Church in Lake Ronkonkoma on Long Island. Fred is survived by his wife of 50 years, Camilla S. Obermeyer of Cooperstown; three daughters and son, Melissa Obermeyer of Cooperstown, Kimberly Seigle and husband, David of Richfield Springs, and Robin Tabor and husband, Bud of Cooperstown, and Frederick J. Obermeyer, Jr. of Cooperstown; two grandchildren, Brian David Seigle and Camilla Hope Tabor; brother Frank Obermeyer and wife, Dawn; sister Robin Sippel and husband, Brian. Also his brother-in-law Jerome Gaynor, sister-in-law Margaret Pena-Gaynor and nieces and nephews Brian Sippel, Jr., Jaime Obermeyer, Ralph Pena, Sue Pena, Kathy Trinidad, Diane Longo, and Christopher Pena survive Fred. 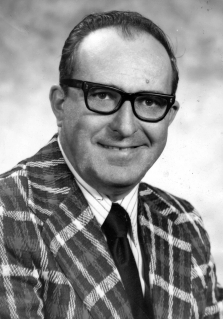 Family and friends are welcome to pay their respects at the Connell, Dow & Deysenroth Funeral Home, 82 Chestnut Street, Cooperstown, on Friday morning, November 10, 2017, beginning at 10 a.m.
A Funeral Service will follow at 11 a.m. at the Funeral Home, with the Rev. Ronald Fralick officiating. MILFORD - Laura M. Gohde, 78, of Tansey Hill Road in Milford, passed away early Thursday morning, October 26, 2017, at Bassett Medical Center in Cooperstown. She was born at the home of a relative in Pleasant Brook on July 8, 1939, one of twelve children of Donald E. and Mabel E. (Crewell) Hitchcock. After Laura was born, she and her family lived in Oneonta and resided on Pony Farm Road. After graduating from Otego High School in 1957, she attended beautician school in Binghamton in the 1960s. After living in Middlefield, she moved to the Town of Maryland in 1998, and then settled in Milford in 2002. On August 19, 1999, she married Richard Earl Gohde in a ceremony at the Middlefield home of Justice of the Peace Raymond E. Burr, Sr. Through the years she was employed in various places, including Astrocom Electronics and Corning in Oneonta. For 10 years, she also cleaned houses, and was last employed by Bassett Healthcare at their print shop in Cooperstown. She is survived by two children, Melissa Moore of Fly Creek and Gordon Sparaco of Milford; four grandchildren, Douglas Moore and Derek, Nicole and Justin Sparaco; two great grandchildren; her siblings, twin sister Harriet Smith of Colliersville, Stephen (Grace) Hitchcock of West Oneonta, Iva (John) Hurlburt of Otego, Gordon Hitchcock of Otego, Barbara (Michael) Thorsland of West Oneonta, Rosemary (Richard) Westcott of Davenport, Deborah Hitchcock of Florida, Mark (Deborah) Hitchcock of Norwich, and Regina Shaffer of Florida; and many, many nieces and nephews. 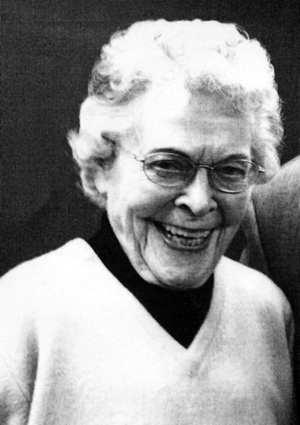 In addition to her parents, she was predeceased by her husband, Richard, who died August 7, 2016; and two brothers, Gary Crewell in 1961 and David Hitchcock in 1992. A funeral service will be offered at 11 a.m. Saturday, November 4, 2017, at the Connell, Dow & Deysenroth Funeral Home, 82 Chestnut Street, Cooperstown, with the Rev. Ronald Fralick, pastor of the First Presbyterian Church of Cherry Valley, officiating. The service of committal and burial will follow in Middlefield Cemetery. In lieu of flowers, Laura's family would greatly appreciate that donations in her memory be directed to the Muscular Dystrophy Association, P.O. Box 97075, Washington, DC, 20090-7075.